Personally, I’m in favor of boycotting the NFL because of the un-American displays of “men” like Colin Kaerpernick, but sometimes the news is so good you have to report it. For example, it has great reporting that the NFL’s ratings have been tanking this year. Hopefully, that will continue. Also, it would be great if the people that are going to games continued to boo players who disrespect our anthem. When Kaepernick and his fellow anti-American players, Antoine Bethea, Jaquiski Tartt, Keith Reaser, Rashard Robinson and Mike Davis disrespected the flag, the fans showered them with boos and chanted USA. 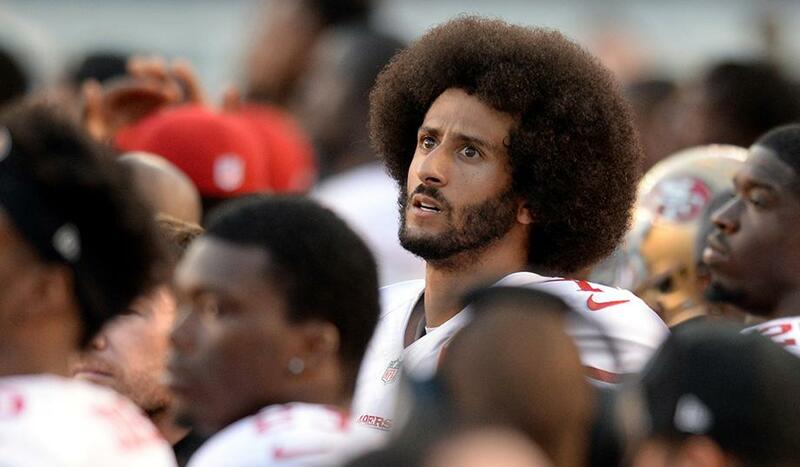 As Kaepernick took the field, the crowd continued to boo and someone tweeted a bottle had been thrown at him, although he didn’t even notice it, so it apparently didn’t get very close? Now throwing bottles? I can’t condone that. But, booing that SOB, chanting USA or better yet, just boycotting the NFL? Those are GREAT IDEAS. Oh and as an extra added bonus, the 49ers lost 45-16. Love it!